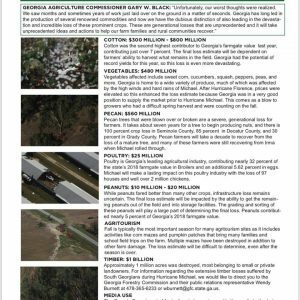 I ran across this image of an updated list of agricultural losses due to Hurricane Michael on Facebook tonight. I am sure there will be more stories about this tomorrow, but I wanted to share it tonight. 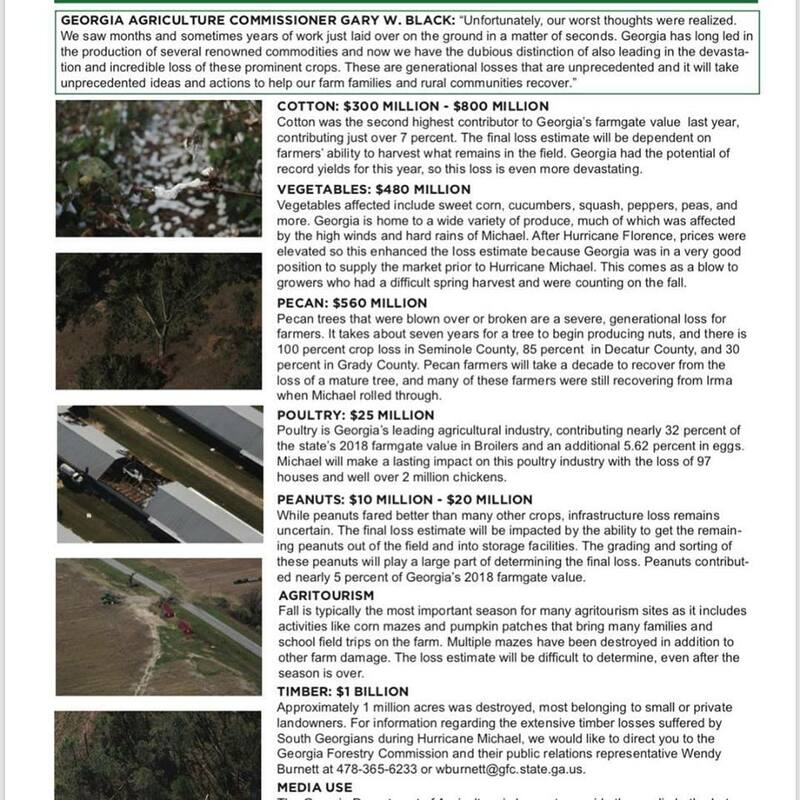 You can find a clearer copy of the text at http://southeastagnet.com/2018/10/17/hurricane-michael-georgia-agriculture/ from SEAgNet. The estimates were made by Cooperative Extension Service who gathered info from agents around the state. The Southeast Farm Press had a couple of additional stories about pecans here and peanuts here. Posted in Climate and Ag in the news, Crops, Extension agent outreach. Bookmark the permalink.